We are forerunner service providers, involved in rendering SCADA Programming Services to the clients. With the aid of our deft professionals, we are ready to build communication gap between clients and give utmost satisfaction to clients. Fully equipped with diligent team of professionals, these services are delivered with high perfection. In addition to this, we render these services in budget friendly manner. By keeping track with current market development, we are engrossed in rendering Servo Programming Services. The offered services are highly valued by various clients of electrical, mechanical and electronics clients. 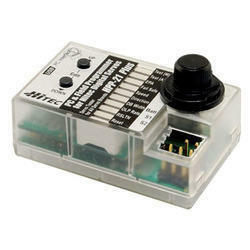 Our ingenious professionals use advanced programming tools and efficient code concepts for programming servo systems. Besides, these services are known for their hassle free execution and cost-effectiveness. Looking for Programming Services ?